As previously reported by OneDublin.org, the Board of Trustees was slated to both nominate and to elect a Provisional Appointment. This vacancy was created when former Trustee David Haubert resigned his position in order to elevate to the Dublin City Council by virtue of his election win last November. The Board of Trustees consists of five members. Mr. Haubert’s term had two years remaining which prompted the appointment scenario versus incurring the high cost of a special election. Interested applicants were requested to deliver a completed application by January 11th and all applicants were interviewed during the week ending January 25th. Trustees Sean Kenney and Amy Miller directed the work of the nomination committee and were not permitted to divulge their feedback with their fellow Trustees as required by the Brown Act. 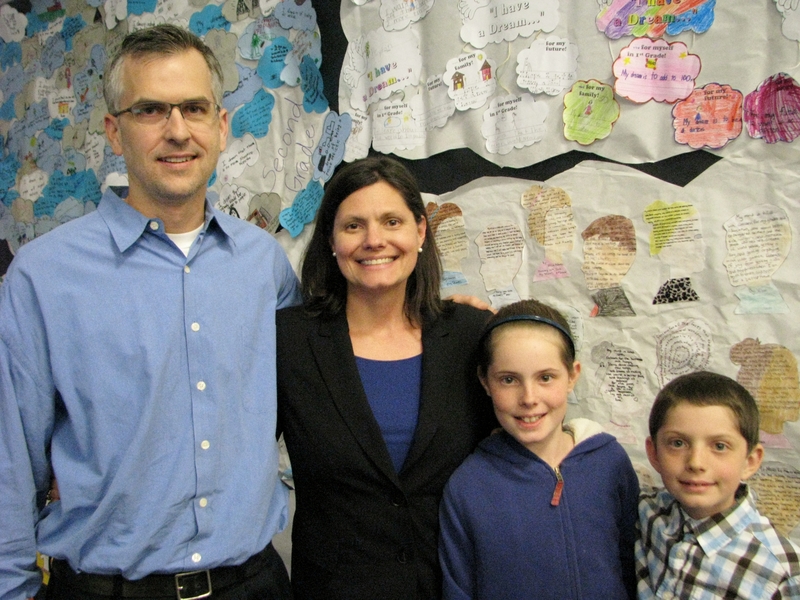 Two finalists were forwarded to Superintendent Dr. Stephen Hanke and to the remainder of the Board for consideration. 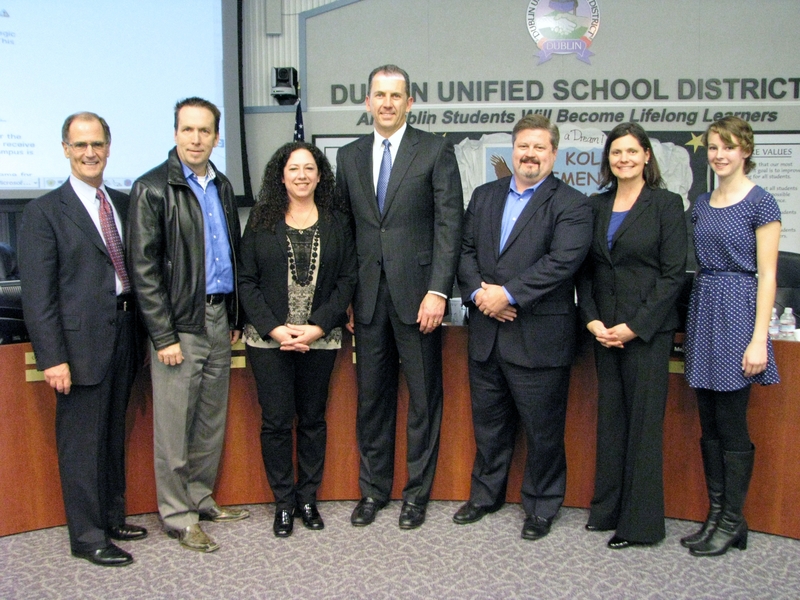 A final public interview was conducted at the District Boardroom on Tuesday evening. Regina Hancher, a business systems director and Megan Rouse, a financial planner, were the last two candidates standing. The agenda item itself had the look and feeling of an event occurring in the 21st century. While Ms. 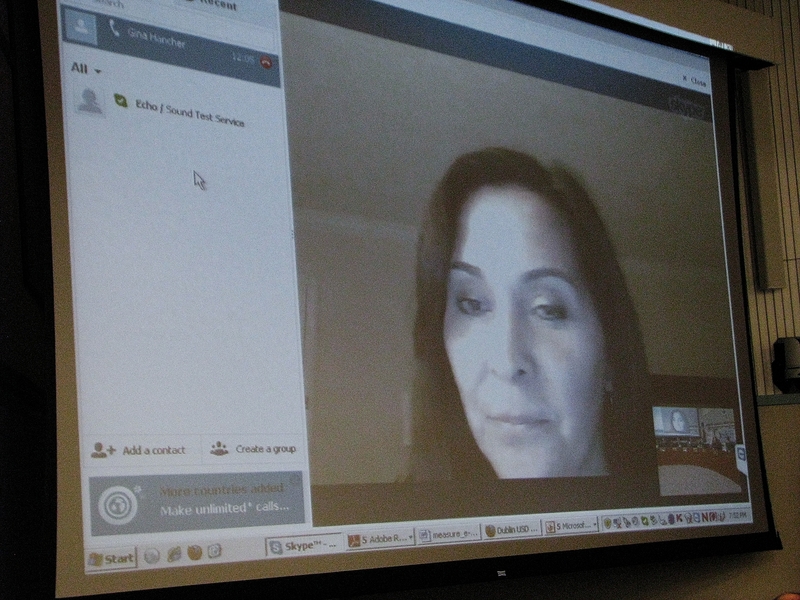 Rouse gave her opening statement in person, Ms. Hancher conducted hers via Skype as she had prior business commitments outside of Dublin. The technology seemed to work smoothly and it initiated a process that we have not witnessed in the recent memory. A question and answer period then commenced which provided each existing Trustee an opportunity to ask refining questions based upon each candidate’s application. Both candidates were asked to comment on the role of a Board Member, the current strengths of the District, what improvements the District should make and their perspective on the role of Special Education and its respective funding. Perhaps one of the most intriguing questions was posed by Trustee Dan Cunningham. He asked both to comment upon their role in effectively initiating change in an environment that is inherently slow to adapt. Ms. Hancher responded to the importance of identifying those that will be affected by change. Further, she emphasized the vitality of communication to ensure that all stakeholders are considered. Ms. Rouse replied with three words, “Listen, learn and lead.” She pointed out the need to understand who will be impacted, to evaluate the benefits of the change and then to lead through example to implement the change using effective communication. After each candidate made a closing statement, those in attendance were invited to make a brief declaration on behalf of either individual. While there was support for both, the overwhelming number of public statements made were on behalf of Ms. Rouse. 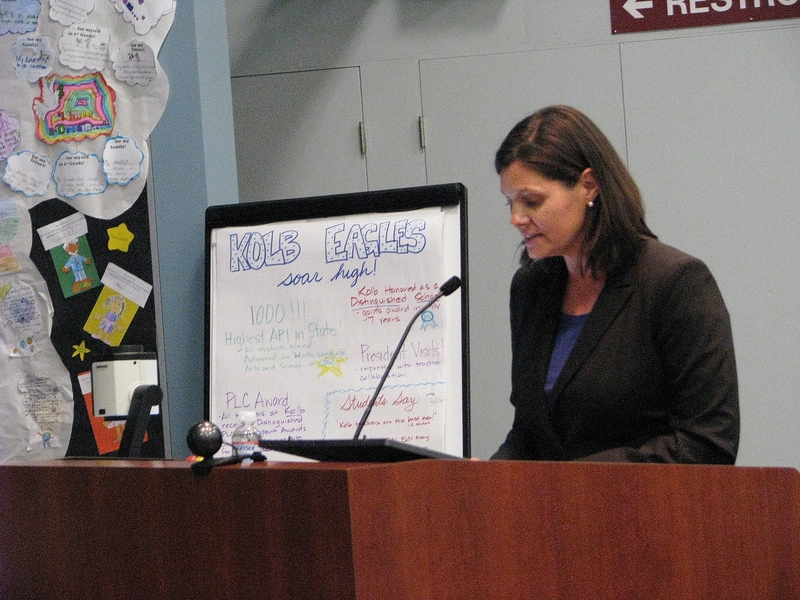 At the request of Board President Tomlinson, each Trustee was asked to share their thoughts before a final vote. While both candidates possess great qualities, it would appear that the fiscal acumen and active listening traits of Ms. Rouse won the day. A motion was made by Trustee Miller to nominate and was then seconded by Trustee Kenney. 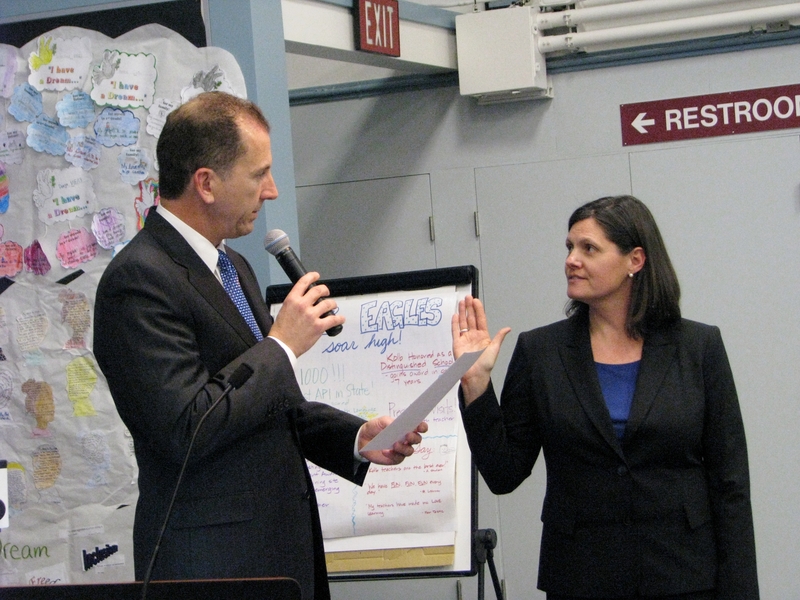 The vote was unanimous for Megan Rouse and she was seated to the Board shortly after taking the Oath of Office. She will fulfill this current term through December 2014. The Board of Trustees thanked all seven of the applicants for their interest and pursuit of this opportunity. It clearly affirmed that there is a great appetite in this community to support the growth and continued success of this school district. OneDublin.org would like to wish Megan Rouse the best in this endeavor. Here is the full list of candidates for the open school board seat was: Catharine Baker, Dan Cherrier, Abe Gupta, Regina Hancher, Austin Ogden, Megan Rouse, and Michael Utsumi.